April'18: We are 10 000+ users! 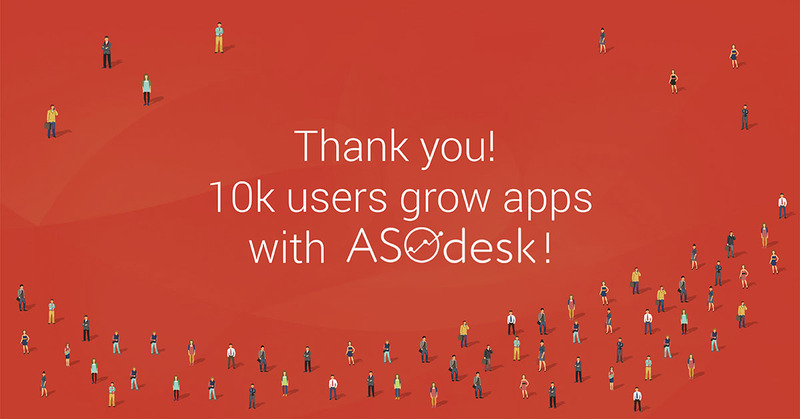 We are happy to announce that 10k+ app publishers trust us and boost app installs with ASOdesk. Thank world’s greatest clients for your trust! We give bonuses for ASOdesk recommendations! To get 10 bonus days send a message (with e-mail of your friend/colleague/partner, we will check if payment were successful and will activate your bonus) to ASOdesk support team. If you use ASOdesk’s Basic plan, then you will be granted 10 days of Plus plan.